Type of Contract: Part Time contract until December 31st 2017 with the possibility of extension. ** Please note due to the nature of the work only women applicants will be considered. Stichting Female Journalists Network(SFJN) is a nonprofit association, registered in The Netherlands since 2013. 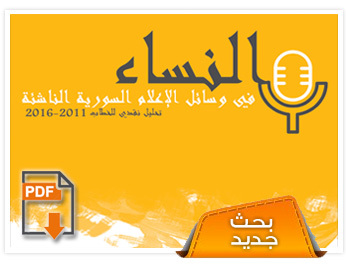 It seeks to build bridges between media and the Syrian women’s movement by enhancing and empowering both men and women working in the field of media, by empowering women journalists to take over leading positions in their institutions, and by activating the role of the media in raising social awareness concerning gender equality and women’s issues. The SFJN also works on improving the representation of women in the media to achieve a Syrian society that is fair to all of its men and women citizens, and to realize a positive social change in thinking and behavior with respect to matters surrounding gender justice and equality. 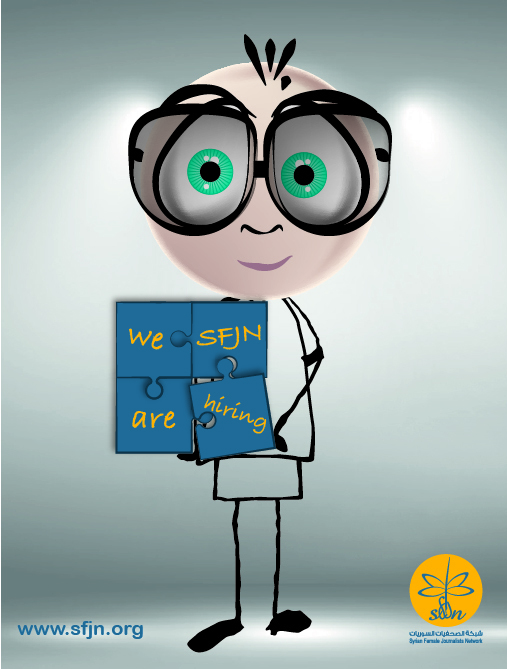 SFJN is recruiting a Part Time Project Officer.The candidate is preferably based in Beirut, Jordan or Turkey. Under supervision by the SFJN Regional Director, the Project Officer is responsible for overall coordination of SFJN activities in the region. Ensure timely planning, implementation and monitoring of campaigns activities, keeping with budget. Maintain all project administration and ensure partner compliance with partner agreements. Monitor and evaluate on-going projects. Identify and map of potential strategic partner CSO’s, Women’s Rights organizations and informal women’s groups. Develop partnerships and manage relations with potential partners. Contribute and coordinate the Annual strategic planning meeting. Monitor and report on budget expenditure on a quarterly basis. Ensure that donor obligations are met. Bachelor’s degree in any Social Science, Development Study,Women’s Rights or other relevant degree. Previous experience working with and/or setting up women’s and Gender Based violence activities. Experiences with teamwork and ability to work remotely. Commitment to accountability, transparency, learning and ability to work independently. Experience in monitoring of development projects. Ability to meet deadlines and work within a stressful environment. A high level of computer competency (Office). Willingness to commit to SFJN’s vision, mission and values. Fluency in written and spoken English and Arabic is essential. Performs other duties as may be assigned. Analytical skills and the ability to prioritize. Strong intercultural competences and communication skills. Able to motivate and engage staff. Willingness and ability to travel to other countries in MENA and internationally. The selected candidate is expected to start as soon as possible. This is a part time job with 900EUR, per month. Email your CV, together with a motivation letter that refers to the profile requirements, by April 27 2017, to: job@sfjn.org indicating the job title in the subject line.